THIS ONE HAS IT ALL! 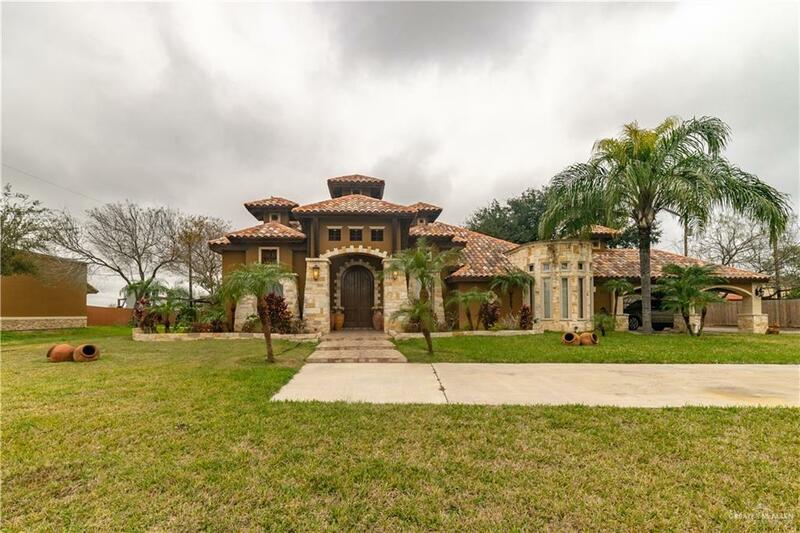 This beautiful home sits on 5 acres with plenty of space for horses/livestock. It features 3 bedrooms, 2 Full Baths and one 1/2 bath. 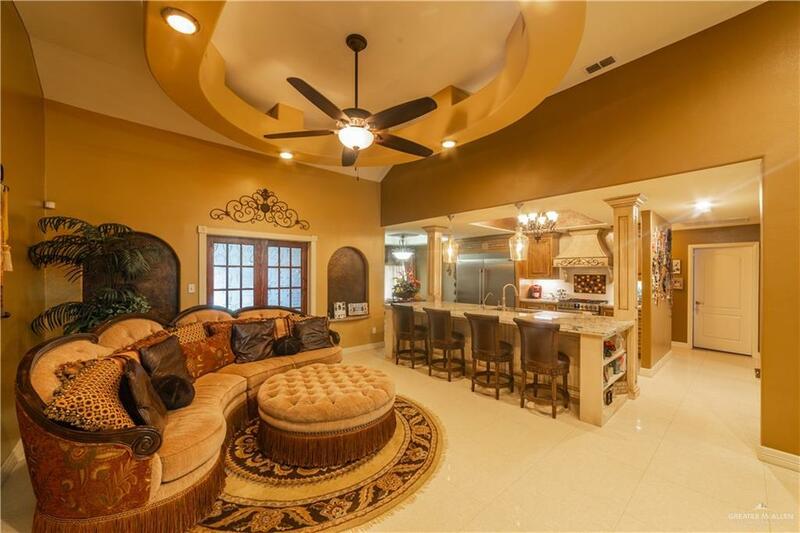 High ceilings, formal dining three living areas, office space, wet/dry bar, top-of-line appliances (which convey), granite counter tops, porcelain tile, large master bath with walk-in closet, security alarm and video surveillance systems, stone/stucco exterior with clay roof. Between the house and the two outdoor entertainment areas with chimney and bar, lies a beautifully designed swimming pool with a "kiddie" pool and slide. The outdoor kitchens/bars have running water, sink, metal roof, ceiling fans and each with a full bath with shower. 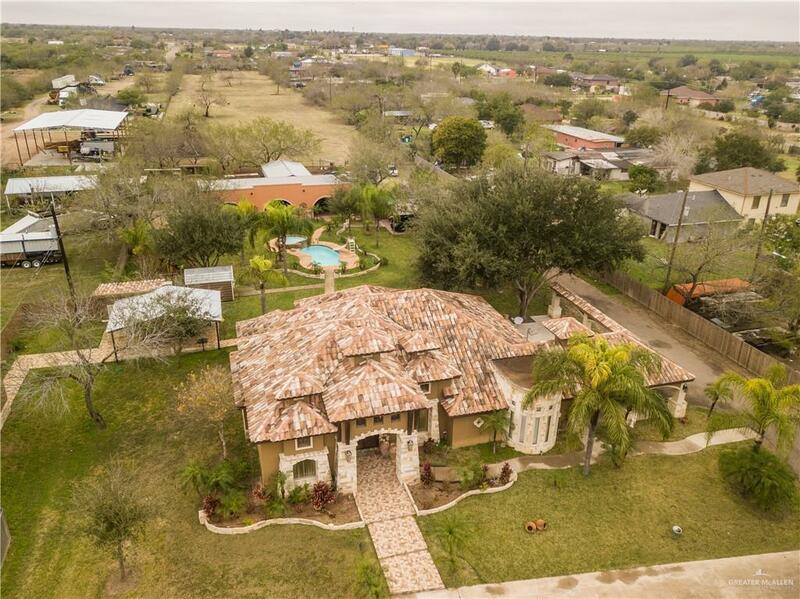 The larger entertainment area is approximately 40 X 60 feet and is equipped with powerful outdoor speakers, video projector, horse stables, cages for pigs or other animals with drainage into the septic tanks and cages for poultry/roosters or chickens. There is additional clean acreage in the back.